This is the third article in a series on the characteristics that make community managers tick. Be sure to read the prologue, The Attributes of Great Community Managers (fixed link), to see what’s coming and to understand why I’m writing this series. This time we’re talking about empathy. As you might have noticed from the prologue, two attributes seem very similar: empathy and caring. What is the difference between caring and empathy? Caring is giving a damn about the work you’re doing. It also means caring about other people and the things they’re doing. But we’ll get more into that in the next article. In any case, caring is not the same as empathy. Empathy is understanding what others are going through. It’s about connecting with their struggle and experience. It’s about walking a mile in their shoes. Empathy is what’s being deployed when a community manager negotiates a discount for a non-profit organization. It’s also happening when they let a team member off the hook for royally screwing up and allowing a member to be a month late on their membership payment due to some financial hardship. We use empathy for relating to people, achieving compromise, and resolving conflicts. The ability to connect with people’s emotions and thoughts and understand why they have them is critical for anybody in a leadership role of any kind. As a community manager, you’re in an incredibly crucial leadership role. You are often the hub of the community. And in this role, you’ll be presented with all sorts of challenges that require empathy, whether they be conflict resolution between two members or complaints about the wifi. Members need you to have empathy to feel heard and safe in your coworking space. When you don’t deploy empathy with your members, they think you are cold and uncaring. The space begins to feel sterile, which is the opposite of the warm, collaborative feeling you want to create. Without empathy, I believe, you will fail to retain members and, therefore, grow your community. Empathy is critical for understanding the fears, needs, emotions, and desires of other people. This is the starting point for further use of this attribute. When you can get into somebody’s mind and heart, you have an advantage when it comes to working with them. But if you pause for a moment and deploy empathy, you could realize that this member was under a lot of pressure to finish a project on a deadline. The event noise was distracting to them, and so it took them a lot of extra time to complete their project. They’ve noticed that another big event on the calendar and it’s happening when they have yet another deadline. They’re concerned. They joined your space to be more productive, not to party. So no, they aren’t trying to attack you. Your member just wants the problem solved as soon as possible. Plus they thought it would be helpful for your founder to get some valuable customer feedback about the size and frequency of events during working hours. Never attribute to malice what could be attributed to incompetence, fear, or stress. Without empathy, coming to an agreement is nearly impossible. If you can’t connect to the needs, desires, and point of view of another person, how can you find a mutually beneficial solution to a problem when you don’t agree with one another? Compromise occurs at coworking spaces all the time. Which coffee beans should we buy? How should we bill large teams? Should we allow members to bring guests; how many; how often? What should we do about noise complaints? At what temperature should we set the thermostat? Should we allow members to eat at their desks or only in the kitchen? What if a member wants to bring their dog to work; what about their cat; their bird? Coworking spaces are filled with many different people with different lifestyles and values. The only way to create a semblance of harmony is to reach some sort of compromise with each of them. Compromise doesn’t mean you don’t have rules, it just means that you consider the needs, fears, desires, and goals of your members with each decision you make. The compromise on their end is deciding to stay. Inevitably there will be conflict in your space, whether it be between two or more members, within your team, or between your team and your members. Conflict often arises because of a lack of empathy between two parties. If you’re the one in the middle of a conflict scenario, remember this: you’re the best person to solve the conflict. What I mean here is that you have the opportunity to deploy empathy first, which will bring the conflict to a resolution more quickly. I don’t suggest that the conflict will resolve to your favor. I was thinking more about our scheduling conflict this week, and I totally understand where you’re coming from. Truth is, I don’t know how much you have on your plate but I can imagine you’re under a lot of pressure this month. How about I take the newsletter and this Friday’s event off your plate, and we reassess at the end of next week? Does that sound like a good solution? Also, sorry if I sounded like a jerk. It was uncalled for, and I apologize. I totally owe you a beer. Emails like this defuse even the worst of situations. But it all stems from the ability to empathize with the person on the other side of the table. The other type of conflict you’ll end up in is where you’re the observer as well as the person that needs to resolve a dispute between two different people. Unless you’re managing staff, you’ll typically only end up in this situation when it’s between two or more members. Arbitration is a more advanced skill set than I think we can cover in this article or series, but it’s built on empathy. Your goal as the arbitrator is to determine who’s in the right based on the rules that govern the issue. However, arbitrators also take context into account, and that’s where empathy comes into play. 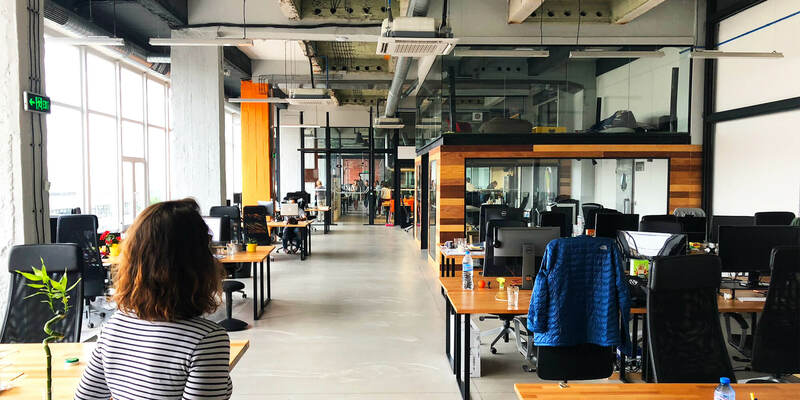 What’s more, when you’re arbitrating a conflict at a coworking space, your goals are different than that of a legal arbitrator. When two members are at odds, such as over noise complaints or general tidiness issues, your goal is to resolve the conflict, not to pick a winner. Picking a winner, after all, likely means one of these members will stop being a member. We don’t want that. This means that conflict resolution between members usually involves some level of compromise. We already discussed compromise so let’s get more tactical. Don’t play favorites. Empathize with both parties. Perhaps practice even more empathy with the member who isn’t your favorite. Always resolve conflicts in person. Email and Slack are awful ways to resolve disputes because empathy is taken out of the equation. When people can see the person they are in conflict with, and there’s a neutral third party, it makes achieving a resolution so much easier. Body language and tone are lost in text. Keep a record. Write up a short “contract” during the meeting which everybody sees during the session. This can be three lines of text if that’s all it takes. Email it to all parties involved at the end of the meeting. Check-in. Conflict often resurfaces. Check in with your members to see how they’re doing and how the new arrangement is going. Is the dispute still resolved? Some people say empathy is something you’re born with. Others say it’s taught from a young age. I tend to think the latter. Either way, if you’ve ended up at this stage in life struggling to practice empathy, I’ll offer some tips. Journal from another person’s perspective. Take a pen and paper, think about somebody you don’t understand very well and write a journal entry from their viewpoint. It could be from the perspective of your boss who’s harassing you about membership growth. Alternatively, it might be from a member who’s always late with their membership payments. Write as if you were them, justify your actions, try to understand what they must value to be thinking in this particular way. Practice in the moment. Take a moment to breathe when you’re confronted with the opinions or values of others. Realize that there are billions of perspectives on this planet because there are that many people. When you catch yourself jumping to a conclusion about something, pause, and try to step into that other person’s shoes for a minute. Do this every day. I don’t mean to sound outlandish, but I can say with 100% confidence that experiencing other cultures is the ultimate empathy hack. Whether you’re from America or Somalia, when you interact with other people, people who have different values and a different upbringing than you, you begin to understand them. This understanding allows you to relate to them and vice versa. So take a trip to someplace new, preferably for a few months, someplace that sounds entirely foreign. Get to know the people there. Then you’ll come back home with a lot more empathy than you had before. Empathy sounds like a nebulous topic, but it’s quite a practical skill. We can measure empathy. We know when we are deploying it, and we can feel when people are practicing it with us. While not everybody has it, it’s essential for leadership and interpersonal relationships. We know that some people have more empathy than others. And if you’re on the latter end of that sentence, that’s okay. You can work on developing better empathy right now if you want to. But whatever you do remember: you don’t need a ton of empathy to be a good community manager, but you need a whole load of it to be a great one.